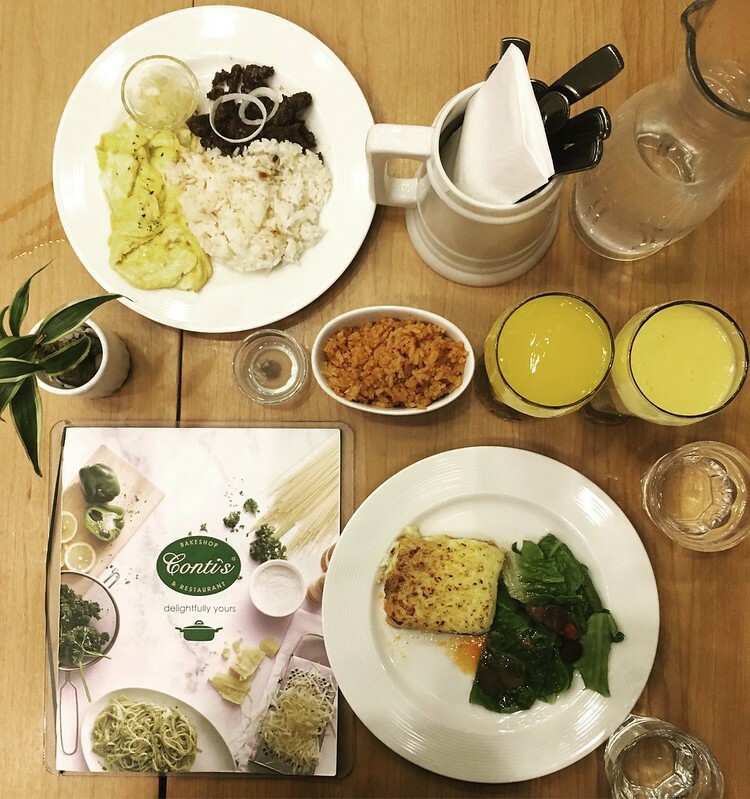 Since Conti’s opened its doors in 1997, it has grown into one of the most established names in the Filipino food scene with multiple branches all over Metro Manila. 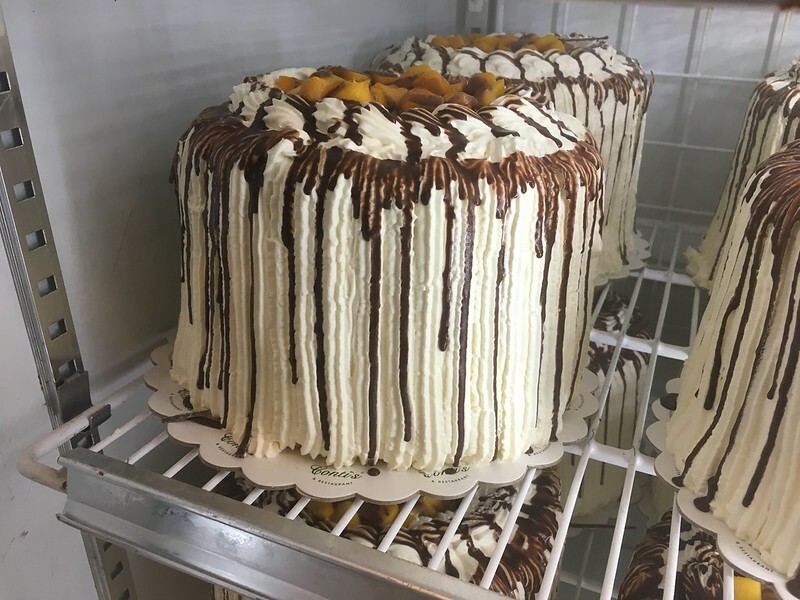 Its claims to fame include its Baked Salmon dish and its Mango Bravo cake, and it continues to evolve in terms of product offerings and service innovations (which now include baked goods and reheatable take-outs). 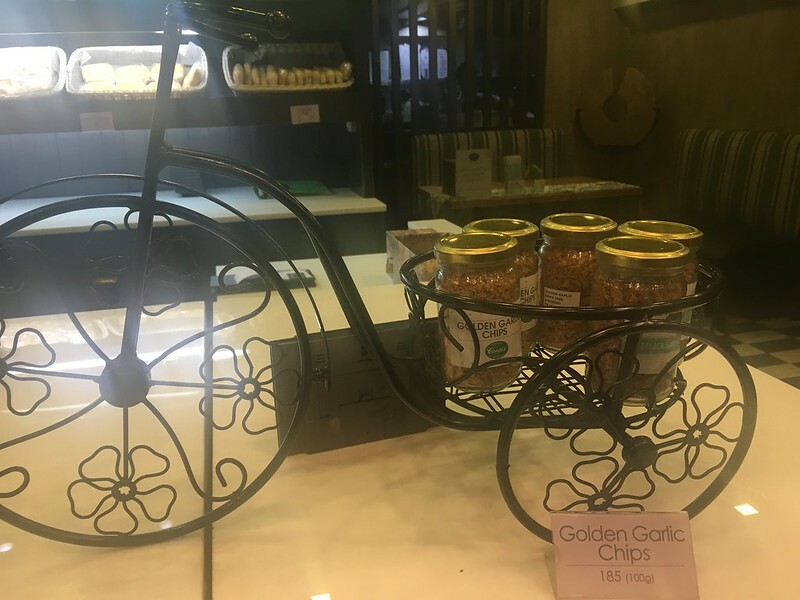 Together with a good friend of mine, I have made Conti’s Greenbelt our go-to meetup place whenever she comes home to the Philippines on vacation from Singapore. 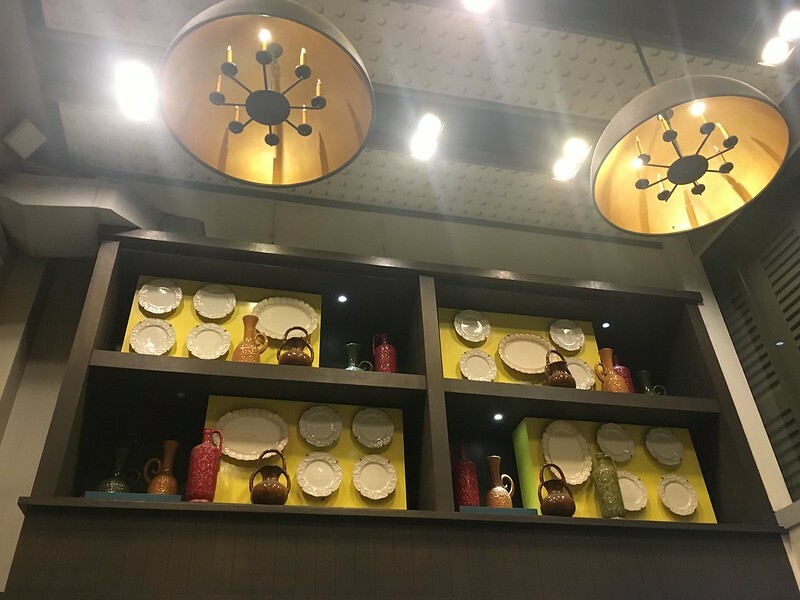 It seems that the restaurant’s homey yet flavorful fare and bright airy interiors provide both of us a comforting feeling of home as we share the happenings in our lives during the few months we were in different countries. Recently, we worked a minor miracle by shiffling our schedules around so we can meet up again in our favorite place to catch up and chat. 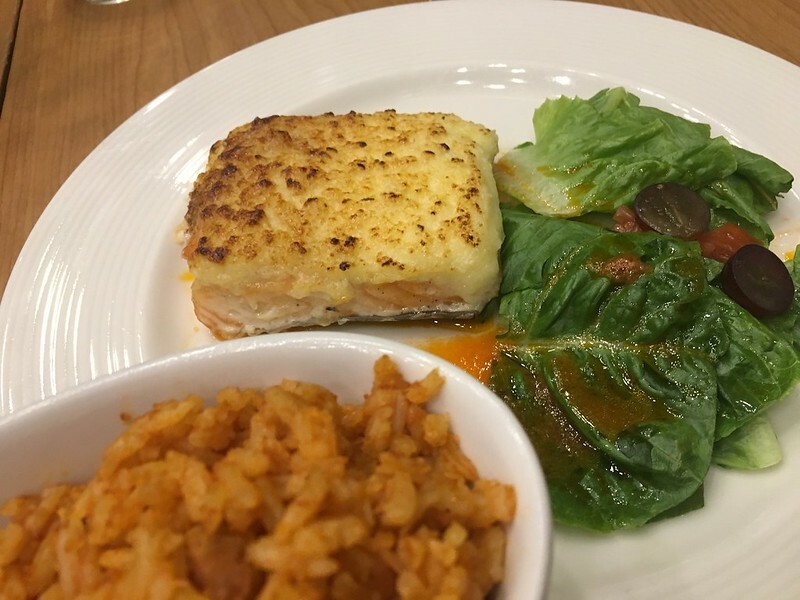 As always, I ordered my favorite dish, Conti’s Baked Salmon (Php425), a slab of Norwegian pink salmon, baked with Conti’s special topping and served with a salad of seasonal greens and a tomato-ey paella rice. 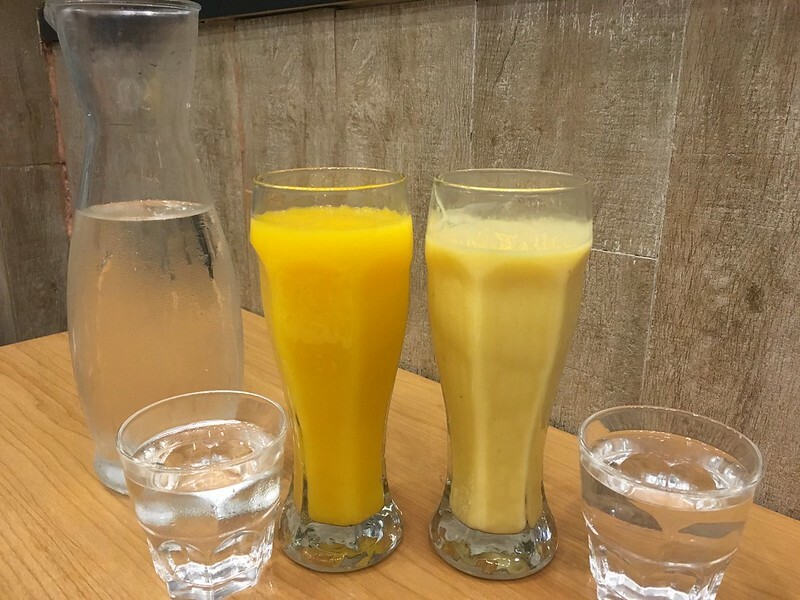 I also got a Mango Banana Yoghurt Shake (Php145) as a fresh and fruity refreshment. 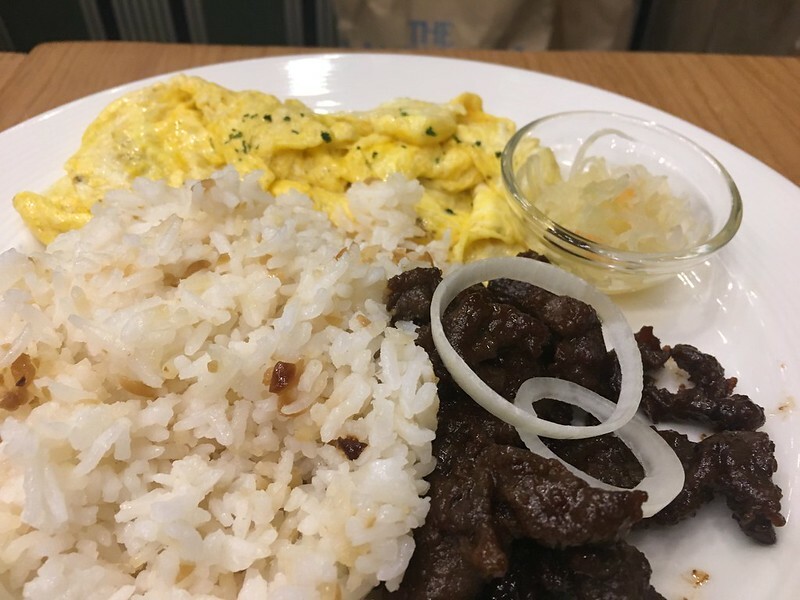 My friend, on the other hand, ordered a Homemade Beef Tapa (Php240) and a Yellow Mango Shake (Php135), to get a flavorful taste of home. 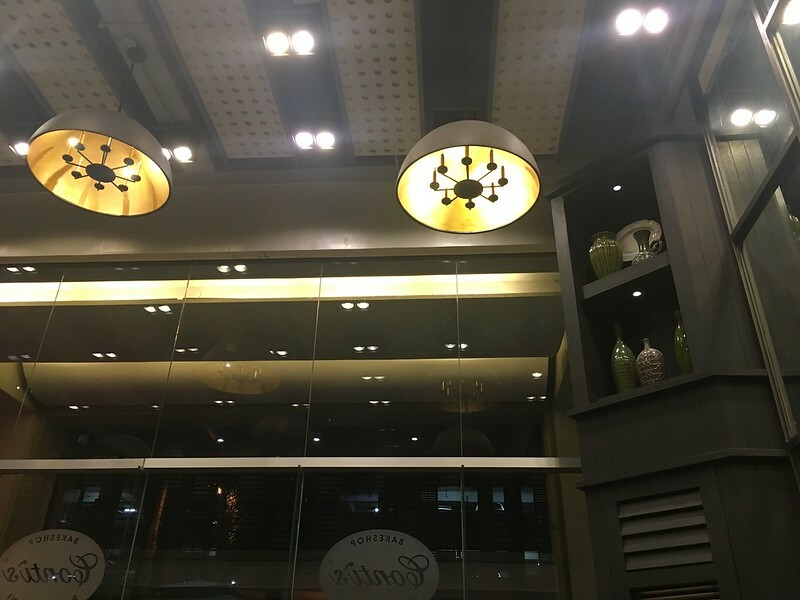 Since Conti’s tagline is “delightfully yours,” my friend and I have, in effect, made this resto delightfully ours. 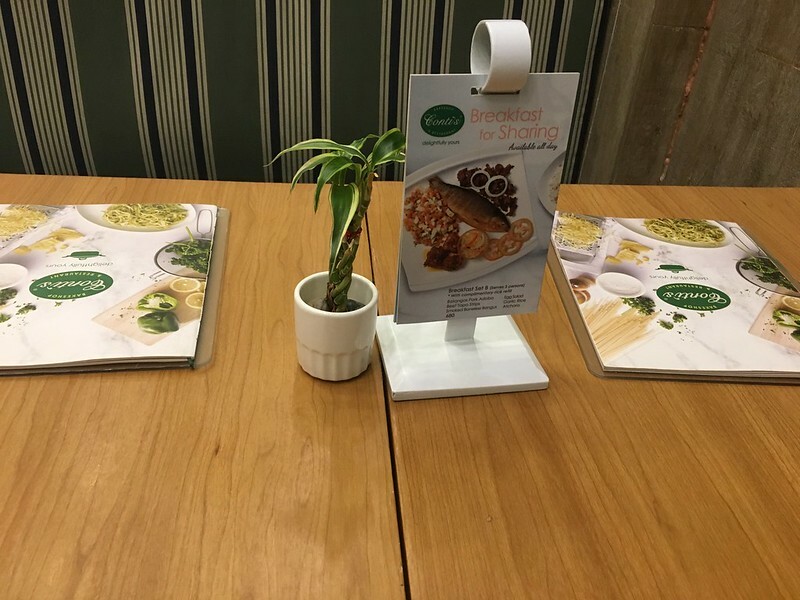 It is our place to meet and come back to our favorite flavors. 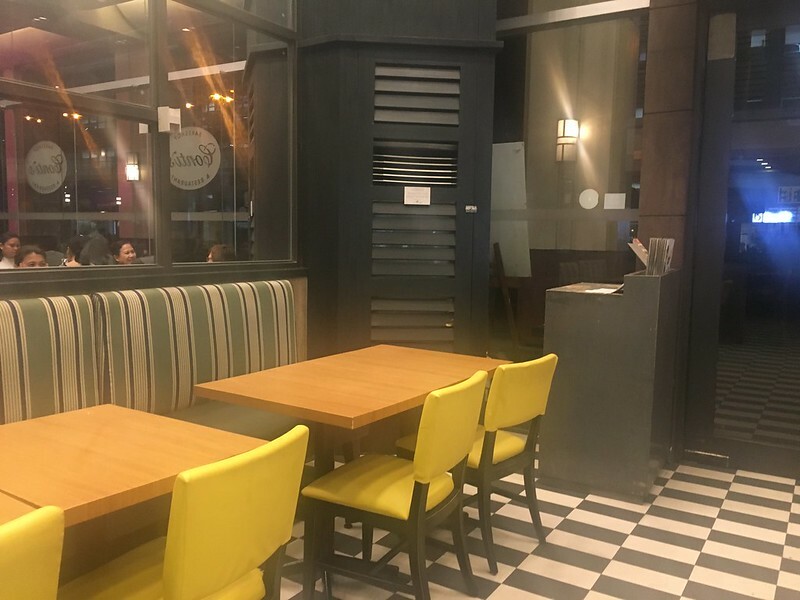 This Conti’s branch is located at Ground Floor, Greenbelt 2, Ayala Center, Makati. For queries and reservations, call +63 2 7560327. You can also have your Conti’s favorites delivered where you are by calling +63 2 5808888 or ordering through the Conti’s online store.